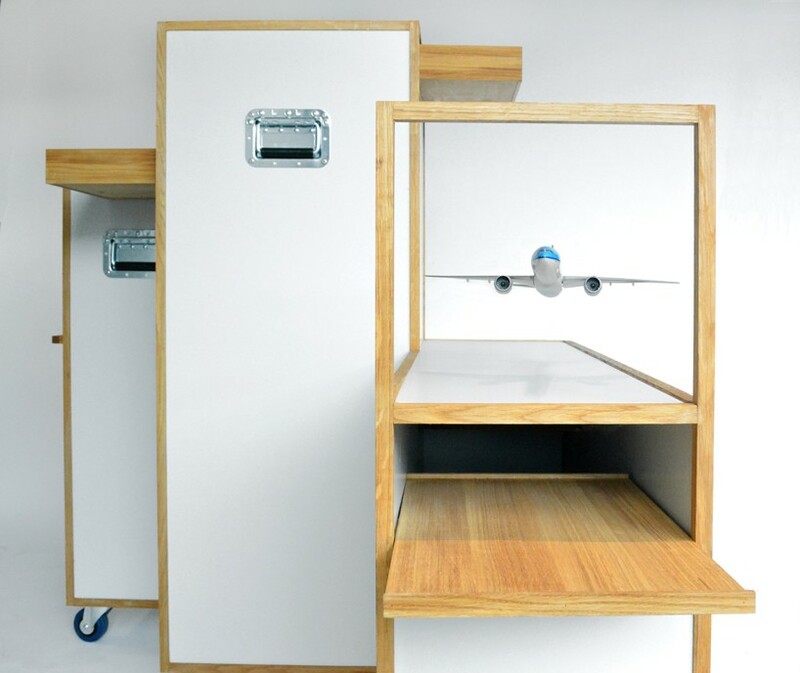 Working with Dutch airline KLM, the designers built a cubic wooden structure full of drawers, compartments, slide-out parts and other storage solutions along with stainless steel buckles and handles. 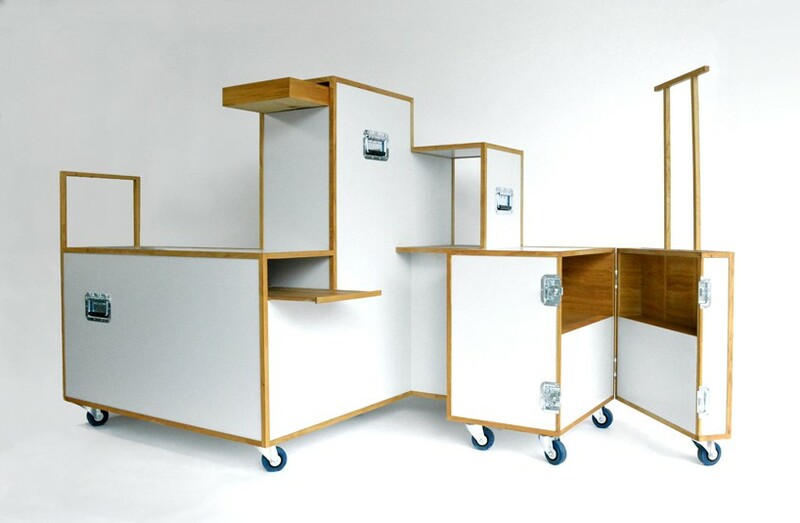 The design sort of stretches and warps the original slim-line cart, pulling it out in various directions and adding shelves to create a geometric silhouette that’s all wood-grain lines and wheels when set against a white backdrop. 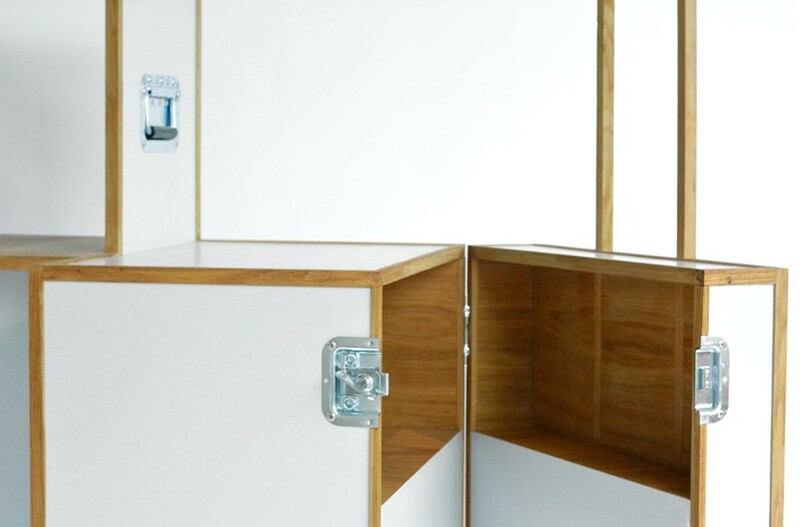 While originally envisioned as a closet, the trolley has various flat surfaces and storage areas that would also make for a practical and dynamic addition to an office, art studio or even the kitchen. 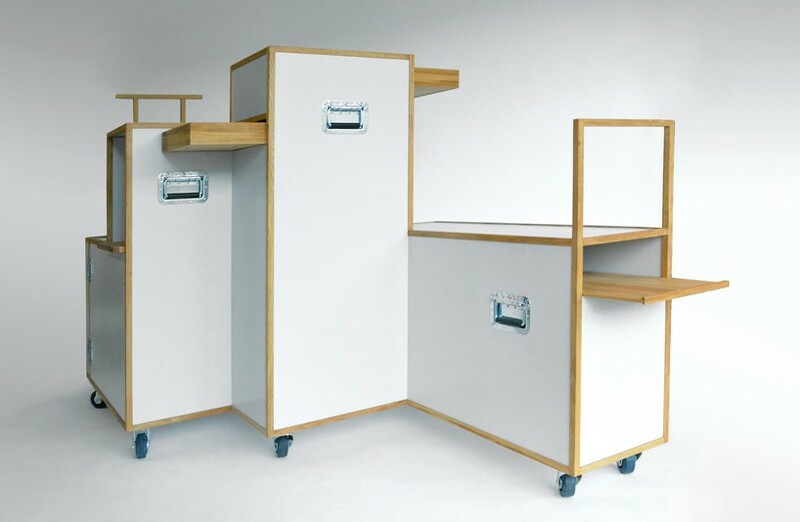 The casters make it easy to roll it from one room to the next if you want to switch functions, or just tuck it out of the way when not in use. 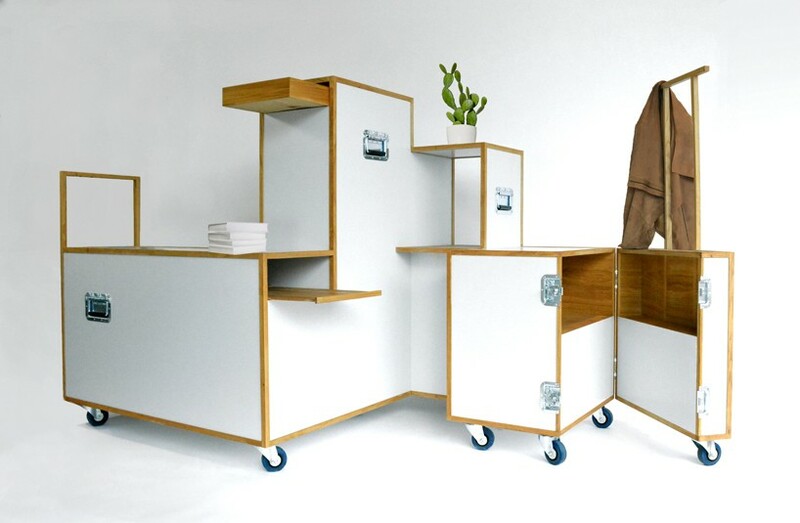 Made of poplar and oak, the trolley is designed to accommodate more than a closet-load of personal belongings and can also be customized in size and color to complement your decorating scheme and storage needs. Clothes can be folded and placed inside the drawers, with an outfit or two hung on the small rack that protrudes from one end. 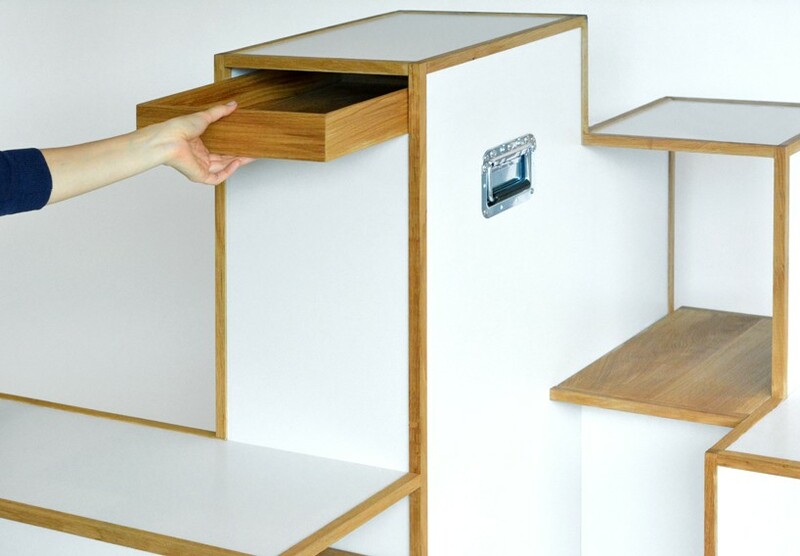 Shallow drawers offer space for jewelry and other accessories. Open the latches to reveal trunk-like spaces that recall old-fashioned travel aesthetics, back when travelers packed nearly everything they owned into large hard-sided boxes on wheels to get around via trains. While this thing isn’t exactly going to fit down the aisle of an airplane anytime soon (especially now that airlines are packing as many seats as they can onto each plane), it does draw from the concept of the urban nomad, packing all of one’s carefully edited belongings into portable containers that double as furniture. This motif is becoming increasingly common as city living grows more popular among young people, and urban apartments grow smaller to make up for all of the extra residents streaming in. 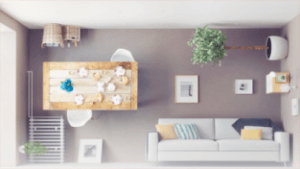 There’s definitely a trend toward nomadic lifestyles, as many people are moving from one place to another in short spans of time rather than settling down in their twenties and remaining in a single home for most of their lives. 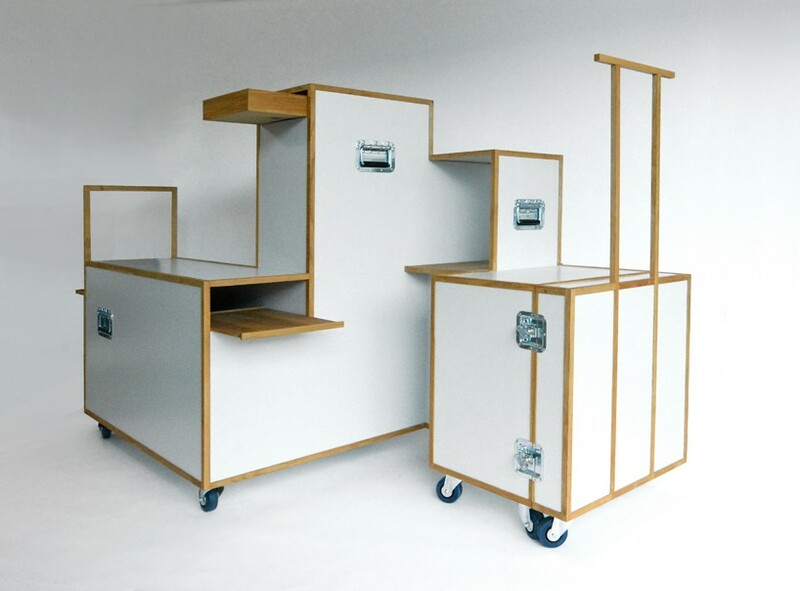 Instead of the sort of heavy antique furniture that would often stay in place for generations, we’re seeing lightweight pieces that are made to move, like furniture that disassembles in seconds for transport. In this case, you wouldn’t even have to box up your things, as they’re already in containers that are ready to be loaded onto a truck.